Sunday 25th March saw our third open day of 2018, the doors opened to allow anyone with an interest in the project to take advantage of an opportunity to see the recent developments. In addition to a raffle for a number of prizes, our merchandise on sale, a chance to join the Supporters’ Club we also had the first public opportunity to buy the limited edition print of ‘Sheila’ by award winning artist Neil Hipkiss. The Open Days are a great chance for members to hear about new developments and acquisitions, something new seems to be happening almost every week. The February open day saw the unveiling of our sectioned 20mm cannon, which was being restored by one of our members, Graham Green, an ex. 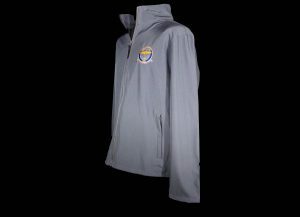 RAF armorer. Graham had completed the restoration and what an amazing job he has made of it and it was another debut for it now the task is complete. The trip to the Netherlands and France that was announced at the February open day was completed. 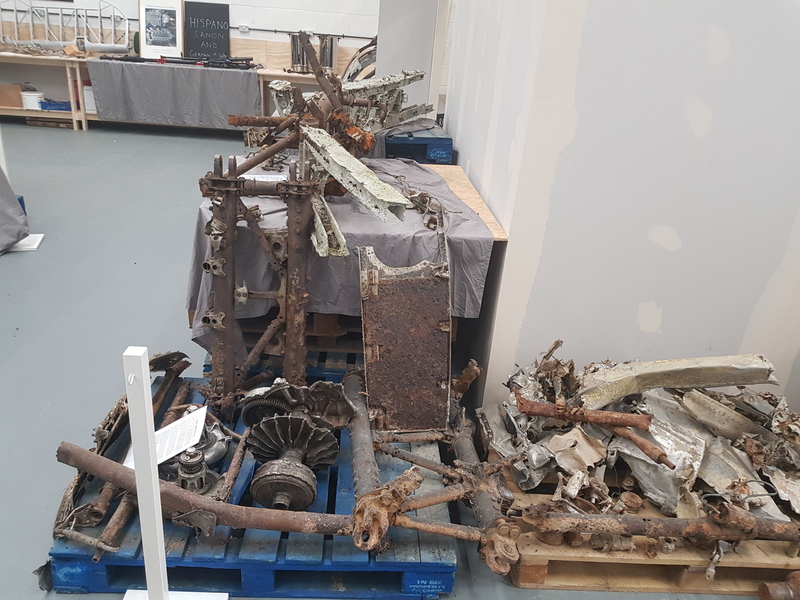 Members visited three separate groups who had researched and recovered MN912, JR523 and JP600 and had very generously allowed the parts to return to our home in the UK. 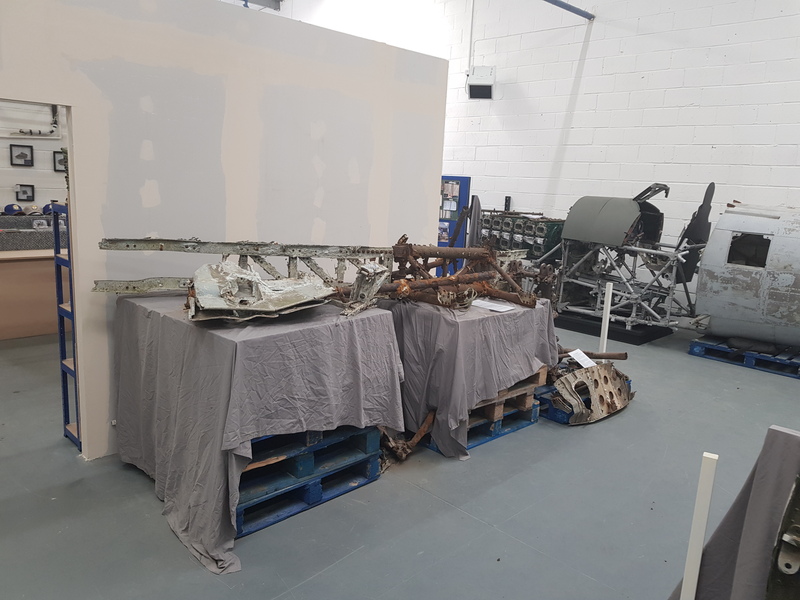 There were a large number of incredibly unique items, from the 4m of rear wing spar to the examples of the cowling fasteners, which will provide invaluable engineering data. Some of our members had continued to work on cleaning the cockpit and mounting the ½ engine we have on the engine mounts. 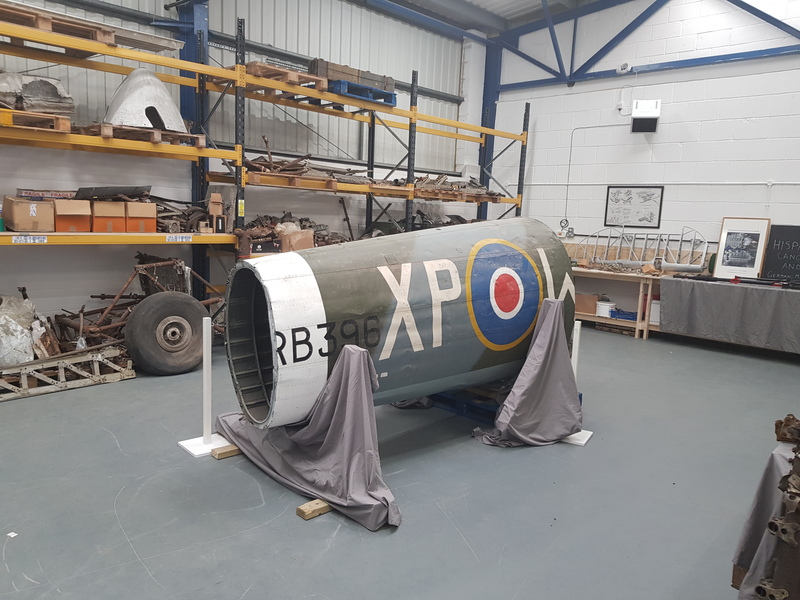 This is in readiness for display and an RAF100 dinner which will be taking place towards the end of April, an exciting time for all concerned and another opportunity to raise the profile of all the crews, the Typhoon and RB herself. 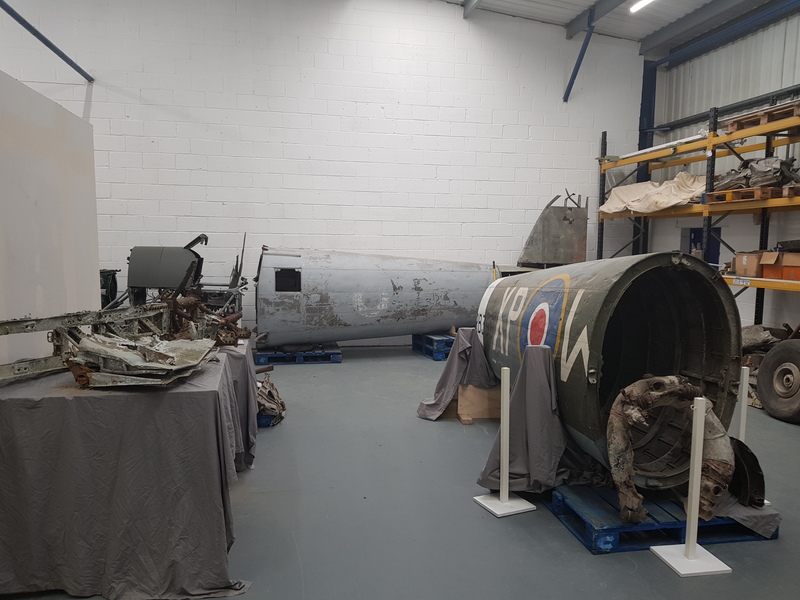 They have put a large number of hours in over weekends to make sure that the new stands are safe for display and easily transportable into London. It was wonderful to see so many people taking the time to come to our home and viewing the project and quizzing the team about all aspects. We were particularly pleased to see so many young children on the day, you could see the fascination they had with all the different parts and identifying what area of the aircraft they were from. An exciting part of the day was the chance to meet the family of Roy Chadwick, a Typhoon pilot who flew with193 squadron. They had bought along their grandfather’s log book and photographs, an amazing piece of history. Roy had kept an immaculate logbook which included reconnaissance photographs of targets that they had been instructed to attack. Whilst looking through the records the project founder (Dave Robinson) noticed one of the Typhoon codes, DP-J. He recognised that code and after confirming his notes it transpires that the major sections of wing spar on display were from DP-J, MN912. Roy Chadwick had flown this aircraft 4 days prior to it being lost with Flying Officer Langille, it was a fantastic moment to be able to tell his family that they were standing next to parts that their grandfather would have been in close contact with. The next Open Day in April is a member only event, members should already have had their notification so if you haven’t received anything to date or you are a new member please do get in contact (project@hawkertyphoon.com). We plan to have 2 of these member events throughout the year adding special items, special guests and it is an opportunity for members to get together to discuss the project and perhaps volunteer to help. 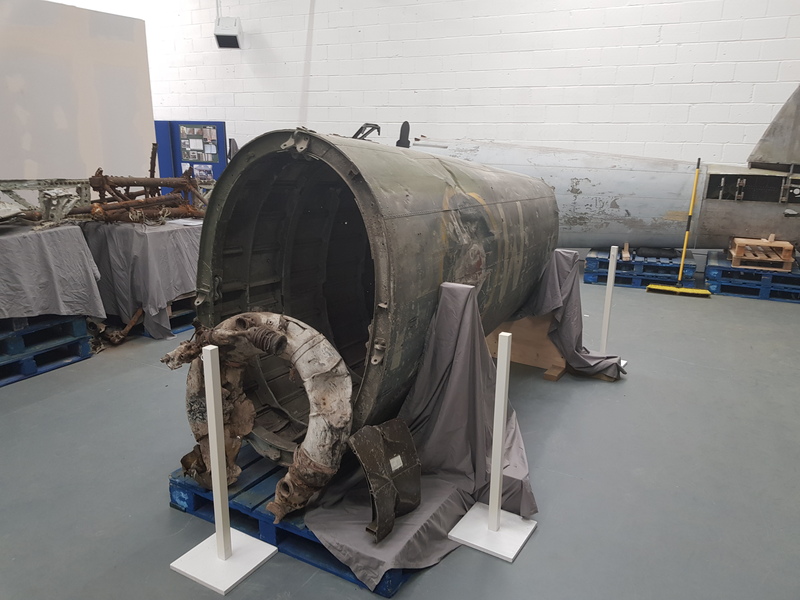 We also plan to have an additional special item on the day, something that is unique to RB making her the only Typhoon project ever to have had an example, the special and unique heart to the Typhoon and her Napier Sabre engine. All our volunteers come from within our Supporters’ Club, that is one of the benefits of joining, so if you would like to attend our special event or volunteer then do please consider becoming a member, click here. Thank you to all those who took time out from their busy weekends and attended our open day, and to all those members of the team who made the day possible. Without you all we would not be able to honour all the crews and RB could not be restored.